Over past few years, Banshapora items (bamboo roasted items) have created a stir in the culinary tradition of the city and it all started with the Santas Fantasea Golpark outlet. They have now come up with some new items on the menu for all the foodies in the city. They have introduced a ‘Special Menu’ at their Sec V outlet and believe me, these new items will leave you spellbound. Their Bamboo Roasted Rabbit had already been hyped and it actually tasted brilliant. Apart from that, the Banshapora Maachhi is worth every penny too. 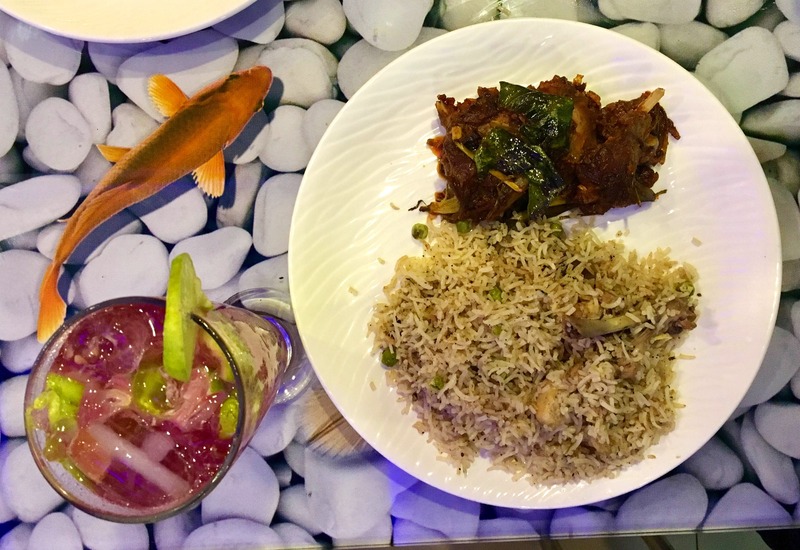 Also, try their Chak Ho Chicken and team it up with Chicken Bamboo Pulao. This special menu is available only at their Sector 5 outlet. This outlet also has a lounge area where you can party, chill, and unwind.